Pet owners live busy, crowded lives, which has given rise in recent years to a growing dog daycare industry. 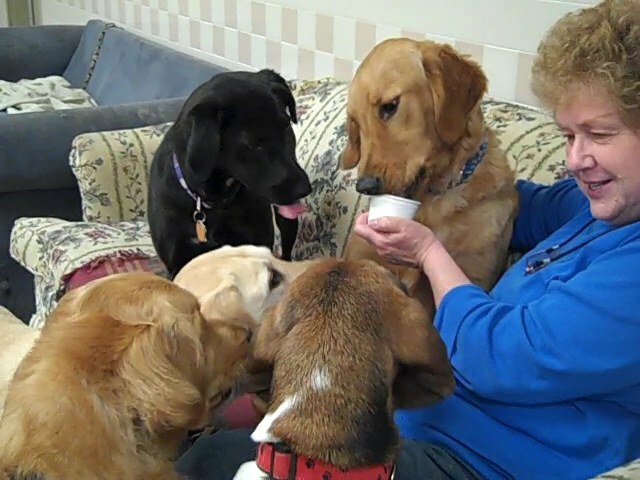 Dog lovers in search of a new career direction often dream of opening a dog daycare business. The intent of this article is to suggest what to think about if you have such a dream. If you want to start a dog daycare business, you need to know what it's been like for those of us who've been there. This is my start-up story. Fifteen years ago I was a Human Resources Manager in a Fortune 100 company that had recently been acquired by another Fortune 100 company. The shrinking inventory of high tech hardware and service companies showed signs of more contraction; and I was tired of managing layoffs for my employer. I wondered how I could earn a living while having fun. I'd always loved dogs and I wanted to start my own business. After months of networking with dog breeders, veterinarians, dog walkers, kennel owners, and dog groomers, I knew I had found the right general category; but I also knew I didn't want to follow in the footsteps of anyone I'd talked with. In every instance, their businesses involved experiences during which dogs are generally unhappy. "No, no," I kept thinking. "I want the dogs to have fun with me." One sweet summer night, I sat on my friend Lilly's porch in affluent Newton, MA., mulling over the possibilities. "Too bad you can't make money just playing with peoples' dogs," she mused. "I can!" I thought. "I'll take care of peoples' dogs during the day. Think of the busy, well-to-do dog owners around here!" Tire their dogs out, so owners don't have to feel guilty about being too exhausted to play with a pet who's been cooped up all day. Send them home to be with their beloved people at night. Socialize them so owners can be proud of how well they behave with other dogs and with new people. So, a business where dogs are free to play in an interesting, safe environment, under the supervision of experienced professionals. My dream come true. But there were obstacles. Wrung out from years of serious commuting, I wanted to work close to home but not in my home, the latter being a retreat where I relished the peace and quiet. My departure from corporate life had left me with a severance package, so I bought a small house in a business zone which I fitted up with attractive, dog friendly rooms that could be cleaned and disinfected, top to bottom. I researched materials and equipment on the internet, bought supplies, and sent out grand opening announcements. Two days after sending the announcements, I had neighbors who already hated me. On opening day, the Zoning Enforcement Officer came to tell me I couldn't do business in my new location, though it was commercially zoned. I had met with him and other town officials before opening and the consensus had been that nothing in the zoning laws excluded my business. So I requested a hearing with the Zoning Board. The night of the hearing I arrived to a throng of angry residents packing the hall outside the hearing room. Standing room only. When I tried to brief the room on the measures I'd taken for noise and nuisance control, I was shouted down. The Board told me to close up shop. I hired a lawyer, appealed and won, a process which required a few thousand dollars not provided for in my business plan. Nevertheless, I was on my way... to other valuable lessons. I had not realized how badly behaved other peoples' dogs can be (one's own are angels, of course). I guess I assumed everyone trained their dog enough so that he or she was easy to live with. Not so! In my first couple of years, my charges stole my lunch, knocked me down, barked 'til my ears rang, played keep away when I needed to get hold of them, and pooped indoors in spite of hourly forays into a fenced yard. At the end of the day, after cleaning every room of the house by myself, I went home numb with exhaustion. 70-hour weeks were routine. I remember those years as a time of aches, pains, bills, bandaids, and bruises. In two years the dogs outgrew the den I'd created in 1998. So I leased a facility in the same neighborhood and set out to grow the business. I bought lists of licensed dogs and their owners from near-by town halls and ran a regular ad the local newspaper. I published online ads and coupons. I was a guest speaker in Rotary Clubs and church groups. I had a "dogs and kids together" gig that I schlepped to elementary schools. Still the business grew slowly, while expenses skyrocketed with the new lease, additional employees and new equipment. I'd added a grooming salon in the new building, but getting profitable was an uphill battle as clientele got to know us. A year into the new building a recession hit. We went into debt to pay the bills, thinking we'd dig out in a year or so. Things did improve by 2004 so we paid down debt and expanded. For years we fought to grow back a financial "cushion", and we were getting there when the wheels fell off the world's financial cart in 2008. Business declined and we hung on, once again taking on debt. I’m my own boss. Everything is my responsibility, including employee screw-ups and events entirely out of my control. I get to meet interesting dog owners from all walks of life. Dog owners idealize their pets and often make inadvisable and/or unrealistic demands. I can de-stress whenever I wish by playing with/cuddling dogs. Every day is full of pee, poop and vomit. My work life can be shaped consistent with my skills. Revenue goes in cycles but bills are constant. Even with the best planning, much of the time there isn’t enough money. Customers tend to be loyal once they’ve found a place where their dog is happy. Disgruntled employees can start a similar business near-by or work for your competitors and poison the well. My business has a positive presence in town, people know me, and I feel proud. Every town charity expects a contribution regardless of the economic environment. Every day brings many funny, uplifting doggy shenanigans. 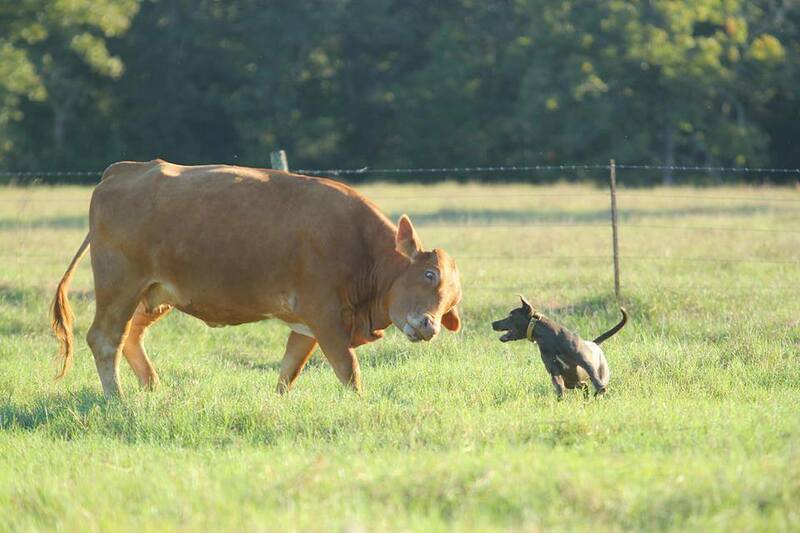 People often don’t train their dogs so the latter can be out of control during playtime. My employees go the extra mile when I ask them to. Employee drama goes with the territory. Today, I can pay myself, my employees, and my bills. We break even or make a little money. I wouldn't trade my situation for anything. I left a six figure salary for "getting-by" status, and I've never looked back. If I were younger I would grow The Doggie Den to where I could franchise it. Close to retirement age, I'm happy with smaller horizons. I'd do it all over again in a New York minute. The usual remedy for attacks of kennel cough in dogs is a course of antibiotics. However, there are other possibilities, particularly those recommended by veterinarians who practice homeopathy. Below are some suggestions. Nosodes. A nosode is a homeopathic remedy derived from a pathological specimen. Nosodes stimulate the natural immune system to react against specific diseases. Kennel cough nosodes are particularly effective. Esberitox. This is a fast-acting Echinacea that I have found very effective in reducing the virulence of bordetella infections. Vitamins C and E. Vitamin C is an antiviral and E provides immune system support. Oregano oil has antiseptic, antifungal, antiviral and antibacterial properties. Astragalus is an herb used in Chinese medicine to enhance the immune system, support lung function and stimulate the regeneration of bronchial cells. Raw garlic and olive leaf are natural antibacterial and antiviral agents. Raw honey will ease the discomfort of coughing, and certain herbs will soothe and naturally suppress a cough, among them licorice root and marshmallow. Essential oils can be used to help a pup with kennel cough breathe easier. Oils of eucalyptus, lavender and tea tree have antibacterial and antiviral properties. Chamomile has a calming effect. Slippery Elm can help soothe sore and irritated throats. 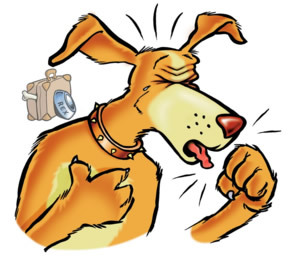 It's March and we're finding a significant number of kennel cough cases in MA. At the Doggie Den we want to make sure we're not part of the problem so we closed down for a long weekend and disinfected the facility from stem to stern. We require that our canine guests be vaccinated against kennel cough, but the vaccine is not 100% effective. Some doctors claim it's unsafe as well as ineffective. Below is one such opinion from Dr..
Patricia Jordan who practices in North Carolina. At The Doggie Den we do not share this opinion, but we think it's worth noting. been known to activate a previously asymptomatic collapsing trachea and disrupt phagocytic activity which can progress to pneumonia. The toxins from the vaccine will also kill the ciliated lining of the trachea, creating a denuded area susceptible to anything coming down the windpipe. Perhaps collapsing trachea, irritable tracheas and pneumonias are all complications of Bordetella and the Bordetella vaccine. Patricia Monahan Jordan is a graduate of the North Carolina College of Veterinary Medicine. She practiced conventional veterinary medicine for twenty years and founded six different veterinary facilities in North Carolina. Dr. Jordan has traced the paths of immunopathology to vaccine administration and uncovered the cycle of disease and the endless cycle of disease management that results from vaccine administration. Dr. Jordan can be reached at www.dr-jordan.com.